Hilarious comedian, Lizzy Lou, will make you laugh with clean, wholesome original comedy, then transforms in front of her audience into Beth with a powerful message in song. She works mostly as a duo with her husband, Dave, who plays guitar and sings also, or as a solo artist with backup music. 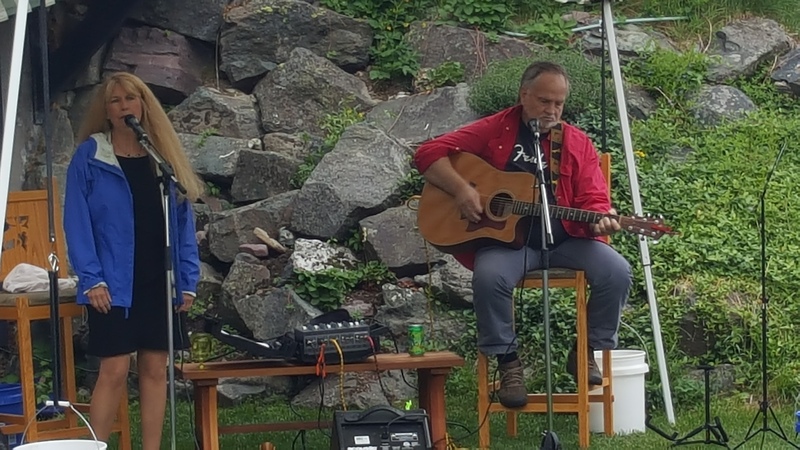 For many years, Dave and Beth have been performing for corporate and church events, music shows, conventions, festivals, private parties, and Beth at women's retreats. 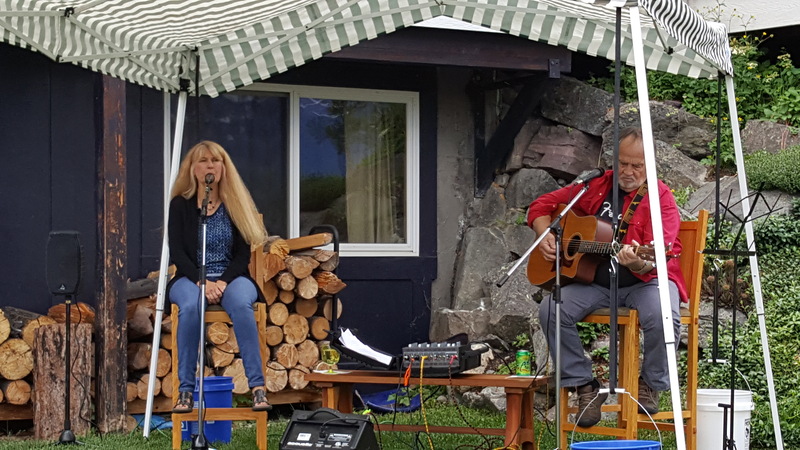 Both being singer-songwriters, they perform a variety of music and can customize their performance to meet your needs.-- "We promise to provide a quality, clean show appropriate for all ages, that is fun, entertaining and uplifting!" We invited Beth and Lizzy Lou to Nebraska for our annual church fundraiser, and they did such an amazing job! So perfect and uplifting for the people that attended, you will not be disappointed in their show! Loved it! Beth and Dave were outstanding! 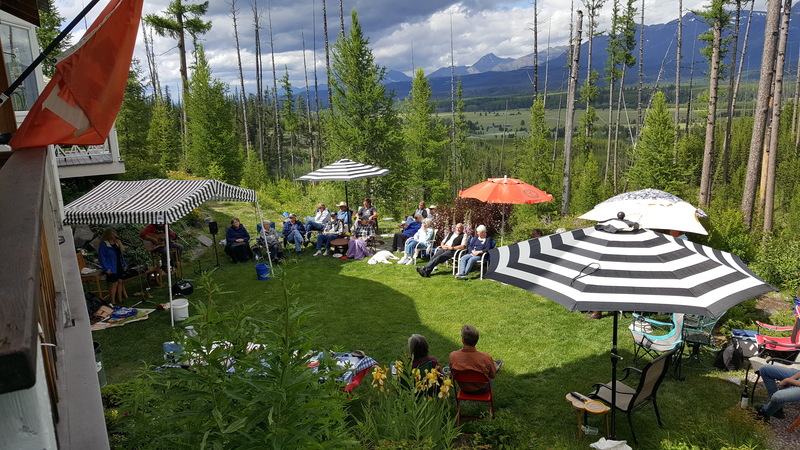 We put on a private party and hired Beth and Dave for their authentic voices. 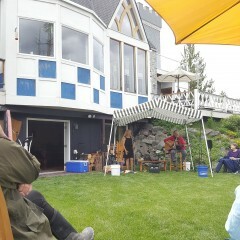 They played many songs that we requested, but we enjoyed their own songwriting too. Very talented and did a great job between songs keeping us all entertained. Dave has wit and a classic country voice. Beth did "Crazy" by Patsy Cline and killed it. Their gospel music is great and renditions wonderful. We were very pleased. There is not much out there on YouTube on these two, but there should be. Stay tuned, we will post some video from our party. Seriously, hiring Dave and Beth made for the perfect event, pretty hard to beat. Wonderful people to work with! Entertaining and fun!! 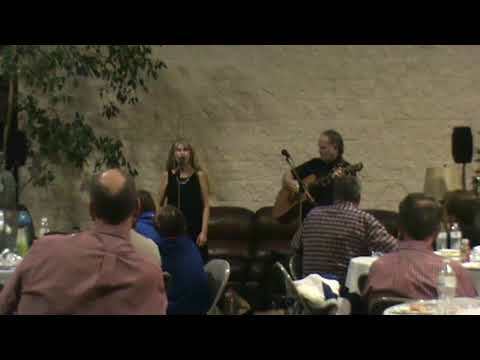 Dave and Beth, and Lizzie Lou, performed at our state convention and they were so much fun and so great to work with. I will say Lizzie Lou is a little corny, but it certainly had us all laughing. Then she transformed to Beth and she and Dave entertained us with gospel, country, and patriotic music. They both have great voices and they can both sing solo or duet, and sing it beautifully. I'm so glad I found them on Gig Salad and I would recommend them to anyone who wants good clean wholesome fun and music. Fantastic, I couldn't have asked for more!!! What a joy is was to work with Beth. We had our annual Women's Renewal at our church and asked Beth Irvin and Lizzy Lou to be our entertainment. Beth was so easy to communicate with. She kept in touch as the time for our event got closer, was at the church exactly when she said she would be and was so easy to set up for. But that wasn't even the best part of working with her she is soooo funny and had the Ladies roaring with laughter and when she sang she truly touched hearts. What a beautiful voice. She shares her faith though her songs and it is so powerful. She helped to make our event an absolute success. Thank You Beth!!! Very happy with the "show". Thanks so much for making the day memorable! Really appreciate the willingness to perform with short notice!!! Thanks so much, Tiffany. Always fun to work up something special for the occasion. 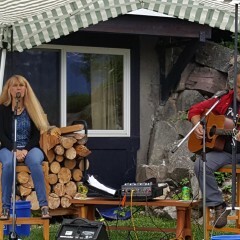 Beth and Dave provided us with an excellent evening of entertainment, filled with laughter and songs that touched our hearts. Thank you so much, Pam. 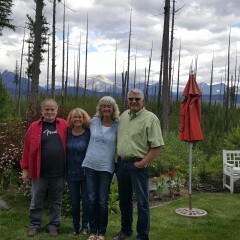 We had such a wonderful time and so enjoyed visiting with you and many of the others. All of you were a blessing to us! Thanks for inviting us to be a part of your event. 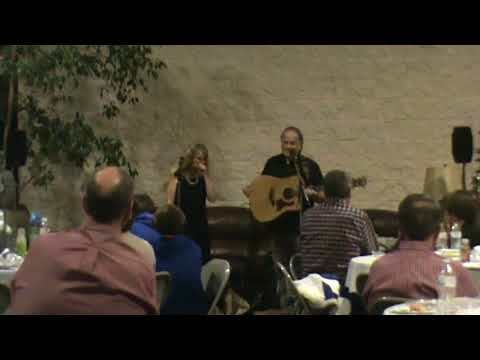 We invited Lizzy Lou + Beth and Dave Irvin to perform at our church's spring supper. They were perfect for the end of this long, troubled winter. 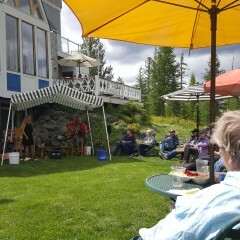 Everyone enjoyed laughing with Lizzy Lou - she and her jokes are so corny that you can't help laughing or groaning. :) This was followed by a great concert with Beth and Dave. There were adults and children in attendance from 1 to 90+ and all had a good time. We had the honor to have Dave and Beth Irvin (Lizzy Lou) joined us to celebrate my husband birthday at our church in Blue Springs MO in couple of years ago. My husband is a Pastor so I wanted to have a “Gospel Saturday Night Live” at the church that would consist of live gospel entertainment, comedy, and singing. Oh my what a memorable night we all shared, full of nonstop laughter, sharing of funny stories, comedy, and playing the guitar. We couldn’t ask for more. It was over the top! 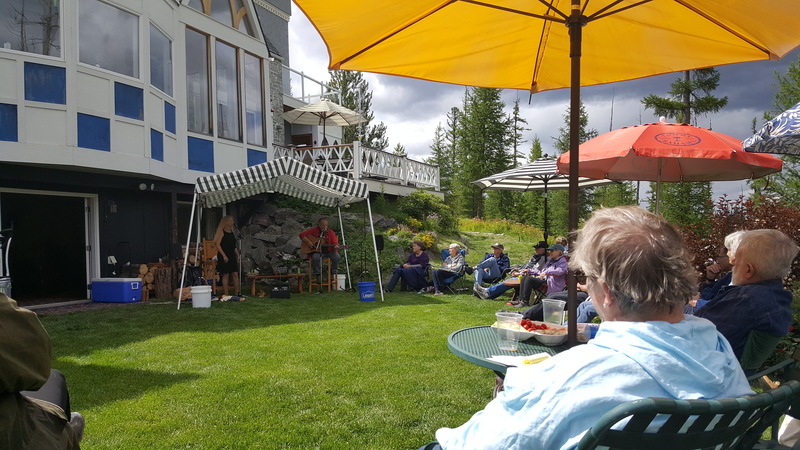 All of our guest, my husband and myself just love just how Beth (Lizzy Lou) transformed to different charters in her performance and her husband Dave right there playing the guitar throughout the performance. This is a “Must See” words can’t any describe all the laughter we all experience. We look forward to having them join us again. What a blessing to be surrounded in love with such a respected and honorable couple. Blessings and love to both of you Dave & Beth (Lizzy Lou) for your future endeavors. I didn't want another day to go by without saying "THANK YOU" and WE LOVE YOU ALL! So sorry for the late posting you all performed back in 2016. We be calling you soon for our next event. Pure joy to work with. Beth and Dave both did an amazing job for our event. We had some technical issues on our part in the beginning, and they worked well with our crew. 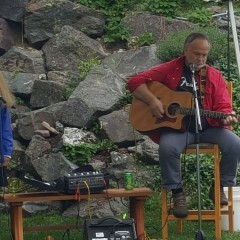 Lizzy Lou started us off with a great comedian act and then went into some music with Dave that was amazing. Our church had Lizzy Lou and the addition of Dave Irvine for our Celebration Sunday in August 2018. Lizzy Lou was adorable and funny. As she was sharing her funny stories she emerged into a beautiful woman. The link between the comedy and the singer was wonderful and totally not expected by the congregation. We had the pleasure of having Dave join in the singing and playing of the guitar. My only regret is that we did not allow enough time for Lizzie Lou ( Beth ) and Dave to provide a full program. I apologize for that. I would highly recommend this program for a church event. The program was great and the two people are the nicest couple to work with. Thank you Beth and Dave for making our 125th church anniversary a special and memorable event. 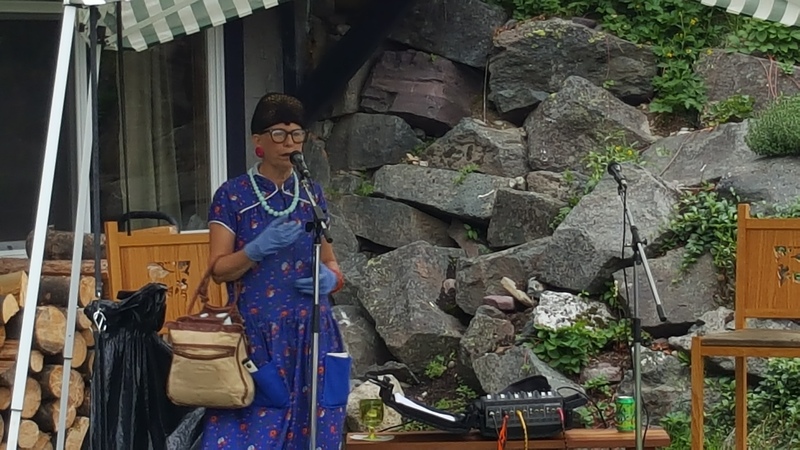 Lizzy Lou's comedic act was lighthearted and fun for all ages, with lots of surprises. 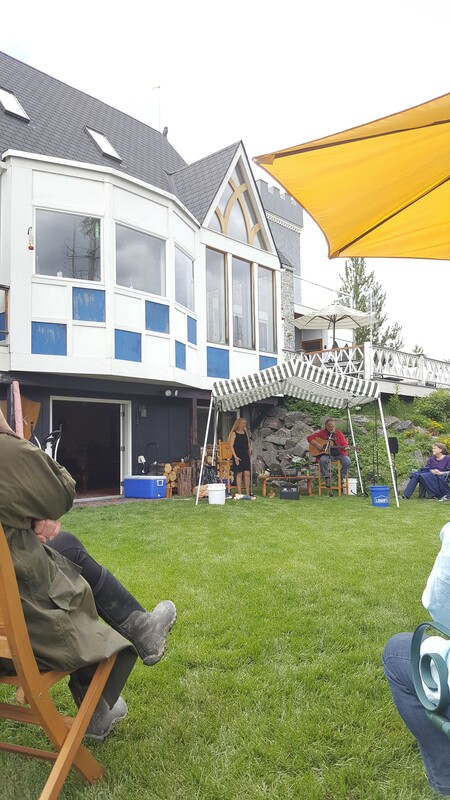 The music of Beth and Dave was a perfect ending to our daylong celebratory activities. Their faith and sincerity came through during their entire performance. You filled out hearts with joy...Thank you! Made my Birthday wishes fulfilled! 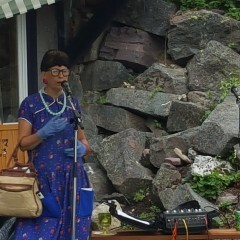 We hired Lizzy Lou/Beth Irvin to do her comedy/gospel/country singing at my 60th Birthday party. Everyone is still talking of it and reminiscing of her hilarious comedy act and her wonderful and meaningful Christian message. She fulfilled my wishes for songs and added others, some of which she wrote, one just for me! 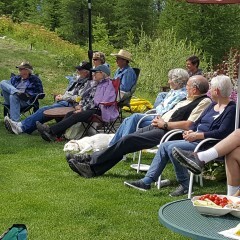 We had all ages as guests, mostly country/farm/Christian guests, and she adapted her performance to them. We are more than 100percent pleased with her performance and that of her husband assisting her. They are wonderful!!!! She wanted to please my wishes and she completely did!! Beth's mixture of down-home comedy and melodic transformation was so inspiring to our women's group! She took us on a spiritual journey of transformation as we went from tears of laughter to tears of joy in Christ. A true professional, her humor relaxed the audience and gained their trust, as she skillfully transformed Lizzy Lou to a powerful testimony of faith. I would highly recommend her for your event, and I look forward to working with Beth again. Funny, down to earth, real! Beth did an excellent job at our women's retreat. She was down to earth, transparent, funny, and spoke God's word beautifully with a humble heart. This was her first weekend "gig" where it was more than one night speaking. She did a great job. Thanks Beth! We had Lizzie Lou come to our monthly POTLUCK dinner to entertain us! I wanted funny and a talented singer and BOY did we get both ! Lizzie is funny, put chuckles in the audience and THEN like magic turned into a beautiful singer who not only had a beautiful voice BUT a beautiful heart to match, with her Christian message. We can't wait to get her back. A mix of HEE HAW and SANDY PATTY rolled into one little lady! This was the first time we had heard Beth Irvin & Lizzy Lou. We had no idea what to expect but was pleasantly surprised by her funny humor and beautiful voice. She did a marvelous job of illustrating the powerful way the gospel comes into our lives and changes us on a personal level. She and Dave are very easy to get to know and was well received by our people. We had three different churches represented at the banquet and they all had great reviews of the program. 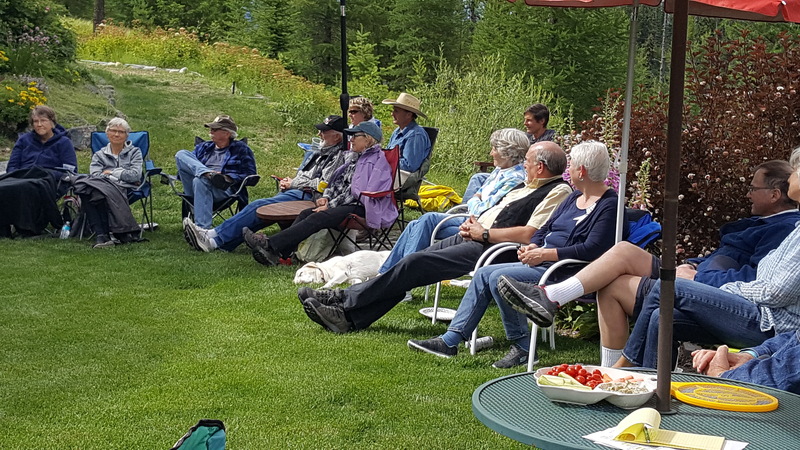 We host a three day event in the summer called, "Wellsville Days" and we have an all church service on service on Sunday morning. We are going to try and schedule them for this event. The whole program was very worshipful, yet hilarious & entertaining. We will differently invite them back. Beth and Lizzy Lou were very well received by our group. All ages loved the comedy, the music and the message. We had a group of approx. 100 who were all uplifted by the performance. Thank you, Bill, I praise God for thst! Dave and I had a great time and met so many nice people. Thank you, again, for inviting us to be a part of your Valentine banquet. My highest regards to Beth and her ministry of song and laughter. Perfect for a retreat setting where you just need to unwind and have a good laugh. Her original comedy routine is clean and her "transformation"provides a gospel message in the simplest form. Beth was wonderful to work with for this event and I would recommend her for any ministry event. Thank you so much, Deb. What a blessing all of you were to me! I had a wonderful time. Thanks, again, for having me. 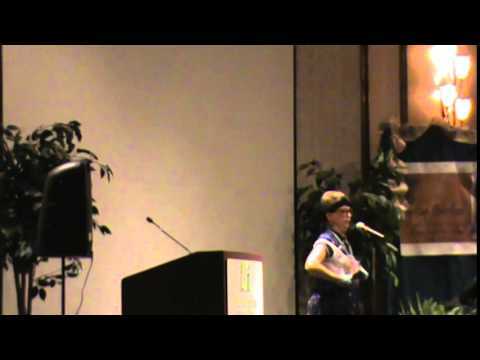 Beth Irvin's presentation of "Lizzy Lou" was both humorous and inspirational. The people of Salem First Baptist Church love her. I have the highest regards for Beth and the quality program that she offers. 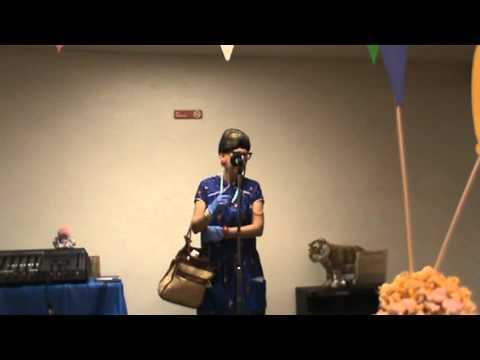 Lizzy Lou has performed at events I was attending 4 times! Even though it was the same routine, I laughed until the tears came! It's as much fun to watch and listen to the audience as it is to view Lizzy Lou. Lead on! Invite her again and AGAIN! I have had the privilege hosting Lizzy Lou several times for Ministry events. She is comical and kept the audiences laughing. The presentation is great, clean, and funny: appropriate for the entire family. Her visual presentation of the change Christ will make in one’s life, is very clear. What a wonderful way to present the Gospel. We had Beth present her routine in 2 of our Churches as well as at a special celebration for our family and friends. She is a wonderful singer and we all enjoy her beautiful low voice. Dave is great on the guitar and writes some really good songs and great humor. The comedy she presents as Lizzy Lou is funny and clean, never suggestive or inappropriate, which we appreciate. Beth has a gentle spirit and is very easy to work with, flexible, not demanding, and fits right in wherever you put her. She gives a strong witness for the Lord and weaves that into her program in a beautiful way. Beth has been a real blessing to us and we’re confident she will be to any group who has her. Lizzy Lou did an outstanding job for a Board of Trustees meeting for our non-profit Christian organization. Ours was a mixed audience of business and professional leaders and the reception they gave her was amazing. 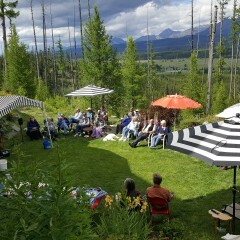 Her performance was a different approach to our gathering and was well received. Lizzy's amazing transformation was great and Beth's singing voice is beautiful. A wonderful addition to any Christian corporate gathering. Thank you so much, Amanda, it was so good getting to know you, too, at the women's conferences in Clinton and Sedalia. You have no idea what a blessing you have been to me, also, (and many others)! Forgot to add in my previous comment how much I enjoy your and Dave's music...enjoy it so much I put all your songs on my itunes so I can listen to them all day! Beth, you are so genuine and your music just comes from the heart. You and your husband are just amazing. Thank you for all you do!! Elizabeth, thank you so much for your kind words. IF it is anything good, it only comes from Jesus Christ! I love hearing your beautiful voice and your powerful testimony. Hearing you sing lifts my soul!! You have made SUCH a difference in my life, more than you will ever know. THANK YOU FOR ALL YOU DO!! Dave and Beth's passion for music started in their childhood, though they lived hundreds of miles apart. Beth grew up in northeast Texas, while Dave grew up in the Kansas City area, both from rural communities, and both living simple country lives. Dave started playing guitar and singing as a teen and eventually started his own country band, performing for numerous conventions, corporate events and private parties. Beth, having a creative mind and big imagination as a child, probably will never change that part of herself, as seen in "Lizzy Lou"-- not just a character, but who Beth becomes with just a wardrobe change. It's been said that laughter is good medicine for the soul, and that is why she loves performing comedy. 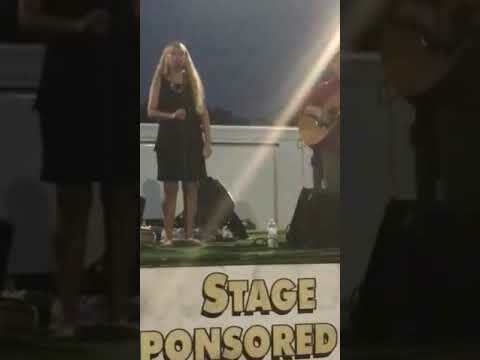 As a teen she sang in the church choir, and as a young adult and after moving to the KC area, she started performing on local country music shows and later started singing with a country band. 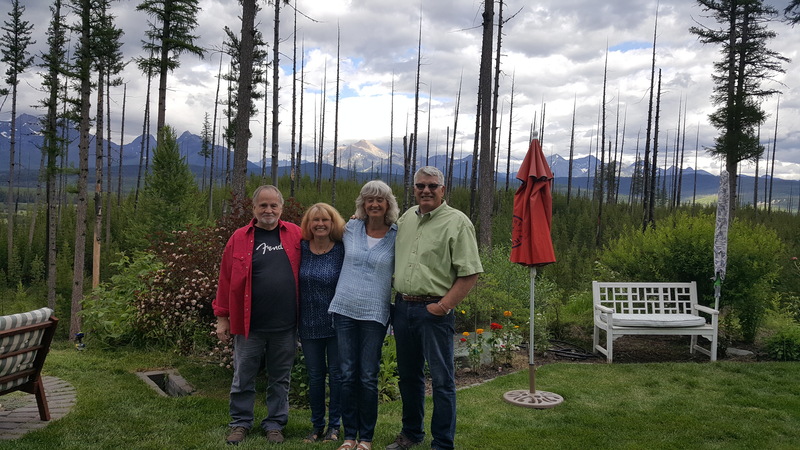 More than 30 years ago, circumstances and music brought Dave and Beth together, and since then they have been performing professionally as a husband and wife team, for various events across the United States. While singing a variety of music, they have enjoyed songwriting since young adults. They now reside in the country just south of Kansas City and when not performing, enjoy spending time with their kids and grand kids, camping in their camper van, and serving in the church. Beth grew up in church and knew and believed who Jesus is, but it wasn't until April of 1989 that she started a real relationship with Him and so her Christian journey began. When performing, she likes making the transformation from Lizzy Lou to herself in front of the audience, as a "visual" of how when we come to know Jesus as our Savior and Lord, that we become a new creation in Christ. --Dave grew up in church as well, but came to know Jesus at a young age, and so has had strong beliefs most of his life. "We don't require much and enjoy the simple things of life. We enjoy using the talents God has given us for HIS glory and to be uplifting to others!" As with any performance, a quality sound system is very important, which I find is usually provided (and a person to run it), but I do have my own equipment if necessary.